One of the more unusual machines on show was this Uni-Horse ride-on mower. 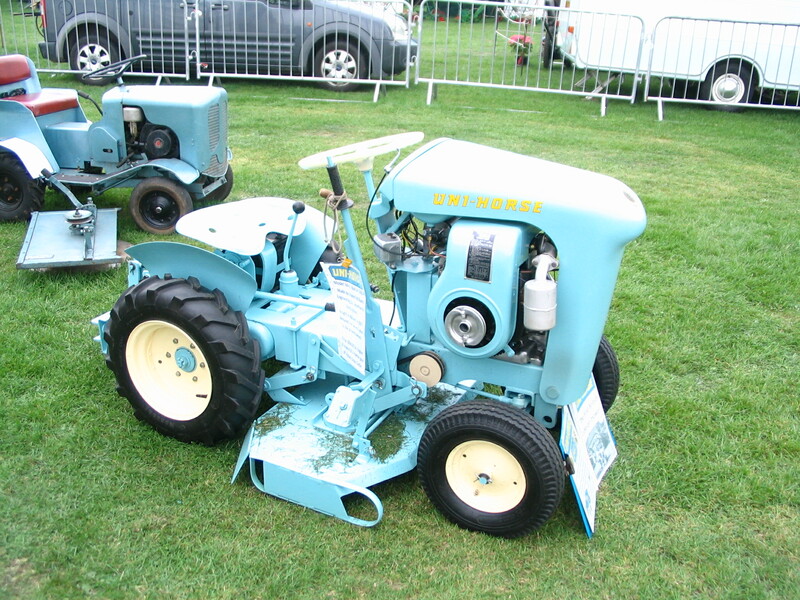 This model is perhaps the earliest British ride-on rotary mower and relatively few were made. It's been restored to this excellent condition by current owner Paul Harvey and it was running regularly throughout the weekend.